One of the many benefits of a farmers market is to give consumers access to the people who grow their food so they can learn about how and where it is produced. It’s such a treat to have this experience because it leads to a deeper appreciation for the food we choose to nourish our bodies. But it’s even rarer to see exactly how our food is made. Lucky for us, there are many local food producers who are happy to show their customers what happens behind the scenes to get food from the field to the table. This week, PFM staff got a first-hand look at how one of our very own vendors, Ancient Heritage Dairy, makes their award-winning sheep and cow’s milk cheeses inspired by European traditions. 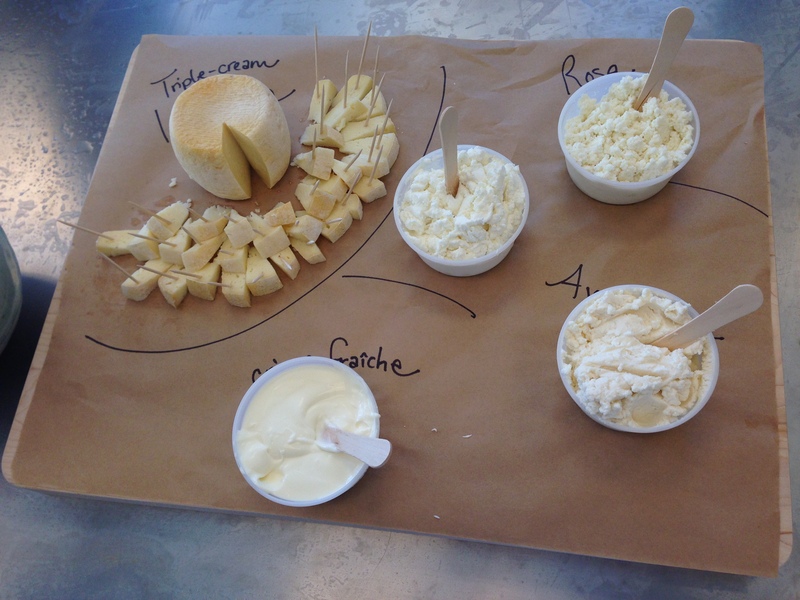 In fact, we got a hands-on look at how it’s done after owner Paul Obringer invited us to visit his urban creamery and help make the very cheese you’ll find at our PSU market. 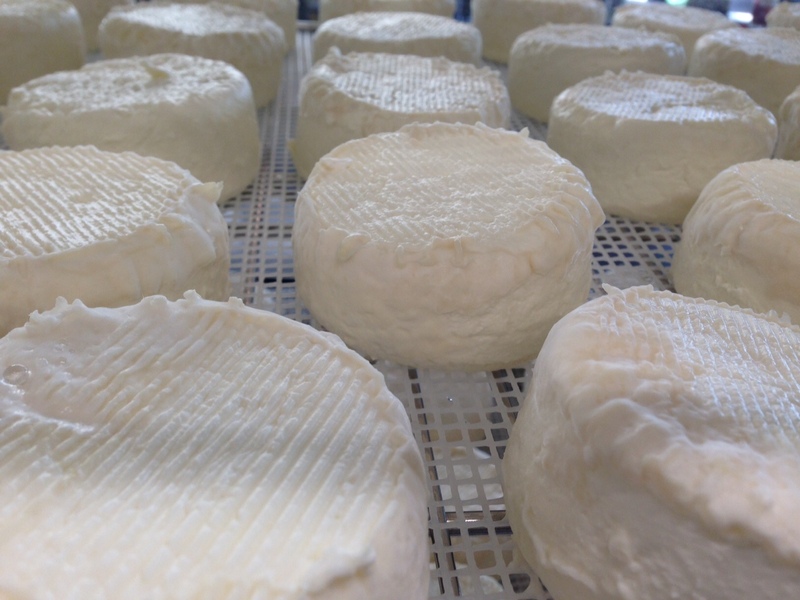 Ancient Heritage got their start making handcrafted small batch sheep and cow cheeses about a decade ago and moved their operations to an urban creamery in inner SE Portland earlier this year. In this setting, they produce 11 different cheeses, all named after various animals they raised and geographical landmarks. While we were there, Paul and his assistant cheese maker Sarah gave us the chance to help make two of their most popular cheeses–Valentine, a pasteurized soft-ripened sheep’s milk cheese with a sweet, buttery and herbaceous flavor–and Willow, a washed rind raw cow and sheep’s milk cheese. The experience was educational and physical. As Paul talked about his life and business, we learned how important an animal’s well being and diet are to the quality of the cheese, we learned about the many challenges Paul has faced and continues to face as a small business owner, and we learned that making cheese is very, very messy! Cheese-making was the main show, but tasting the cheese afterward was definitely the grand finale. We tasted nearly all of the varieties they produce and while I can’t choose just one favorite, I did eat the most of Isabella, an aged, wash rind raw cow and sheep’s milk blend. If you’d like to try Ancient Heritage cheese for yourself, you’re in luck – they’ll be at the PSU market on Saturdays through the end of the year. Drop by to say hello, try some samples and bring home your very own cheesy goodness.